Easy Crock Pot Honey Pork Steaks - Recipes That Crock! Do you need a super easy recipe? 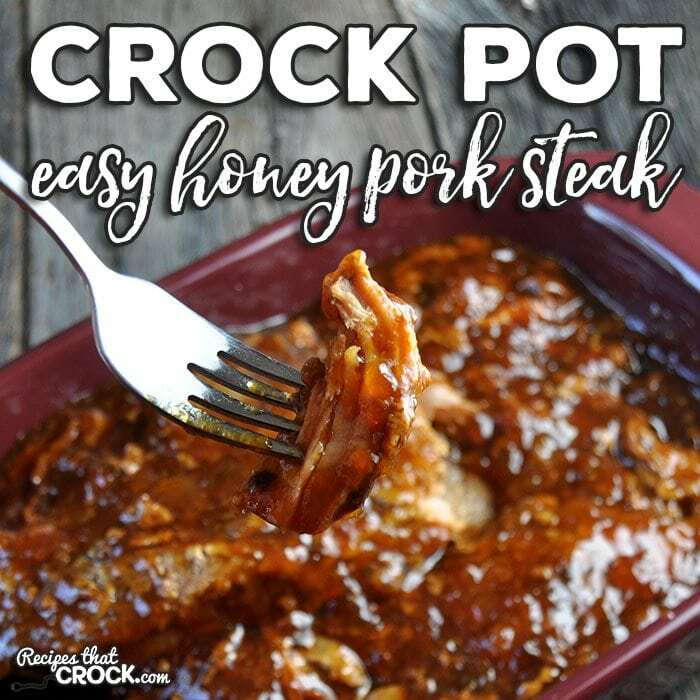 Then you don’t want to miss this Easy Crock Pot Honey Pork Steaks recipe! Easy and delicious! I needed a easy recipe for some pork steaks I had in the freezer that I needed to use up. But what? What did I want to do with them? Life is really hectic right now, so an easy recipe was a necessity. I took a chance with this recipe. It isn’t really based on anything…it was just a shot in the dark. And boy did it pay off! Yum! These Easy Crock Pot Honey Pork Steaks are amazing! I accidentally bought bone in pork steak. Can I use that? I have never tried it with bone-in pork steaks, but think you should be fine. You might have to adjust your cooking time a bit. If you give it a try, let me know how it turns out! How long do u cook pork steaks in crocks I’m going to do 2 crocks 5 in each. For this recipe, you cook for 4-6 hours on low. As always, use a meat thermometer to make sure that your meat has reached safe temperatures before serving. Enjoy! What did you use as a side/s? Have some thawing out for tomorrow and crowded pit always a win for me. We had it with some of our favorite veggies and crusty bread. Enjoy! I made it today using the honey produced from my husbands bees. I cut a medium onion and added it to the bottom of the crock pot. The meat is so tender and has a wonderfully caramelized sweetness. I’m making white rice and mixed veggies to go with it. I’m so glad you enjoyed it as much as we did! I am so jealous of your fresh honey! My high school biology teachers always brought in honey from his bees. I was hooked immediately! I’m sorry to hear it wasn’t your family’s cup of tea. It is a new favorite for my family, but we totally get that every recipe isn’t for everyone. Hope you find some other recipes that you love! Is the meat suppose to fall apart or will I have to cut? Making it right now… smells so good.. just hoping my low setting is low enough. It did a little bit of both for us. We cut it, but it was fork tender. I hope you enjoyed it as much as we do! Is a pork steak what we in Ky refer to as a ham steak? The meat that would be ham if it were processed or smoked. While I do LOVE a good ham steak (Momma used to make them over fried potatoes when we were kids…yum! ), these pork steaks are different. It is also called a blade steak. Pork Be Inspired explains it better than I can. Here is a link to their page on pork steaks: http://www.porkbeinspired.com/cuts/blade-steakpork-steak/. Enjoy! Is it regular or diet cola ? I used regular cola. Enjoy! 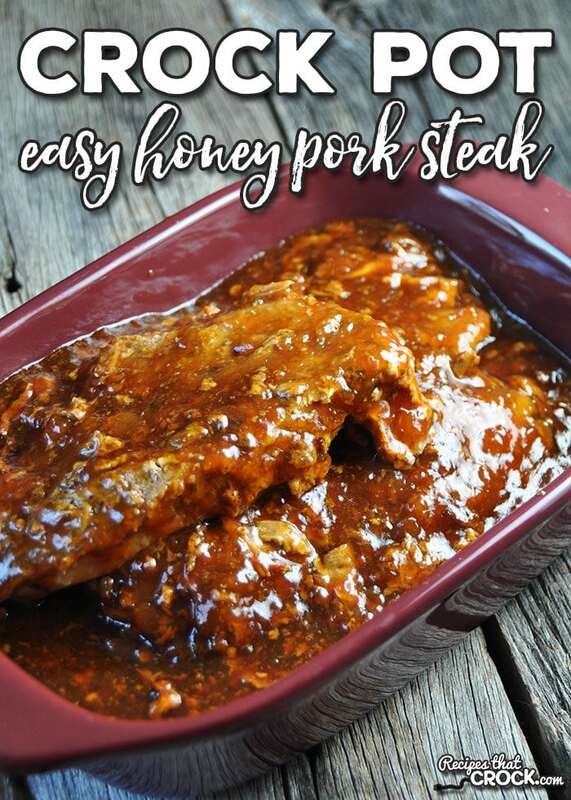 This is a fantastic flavor for your Easy Honey Pork Steaks, we will love them! 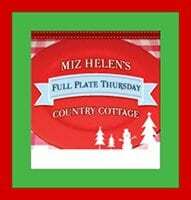 Hope you are having a great week and thanks so much for sharing with us at Full Plate Thursday. Could I use pork tenderloin instead of the pork steak? Love all your recipes!!! I haven’t tried it with pork tenderloin yet, but that is a great idea! If you give it a try, let me know how it turns out! Enjoy! This looks good. Did you brown your pork steaks before you put them in the crockpot? From the picture, it looks like there are small pieces of some other ingredient not listed….. I did not brown them first. Just dump and go! No extra ingredients. The small pieces you see are from the meat. Enjoy! 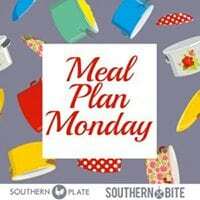 Sorry to ask what might seem a dumb question, but could the pork steaks be frozen or do they need to be defrosted prior to placing them in the crock pot? I would recommend always using thawed meat. It makes it easier to make sure your meat is cooked to the proper temperature in the center without drying out the outer meat. Enjoy!